Singular MARS recently participated in a high visibility project in the middle of the renovated Burberry’s flagship store in Regent Street, central London. A mixture between an art installation and a live performance, the hybrid concept created and managed by Graham Hudson, a London-based artist, showcased the process of “making”. A 3-story high scaffolding improvised art studio sat in the middle of the shop, and a team of artists were constantly working within its structure. At the top level, a rig of cameras were taking pictures of different subjects. With photogrammetry techniques, these pictures were converted into 3D models. On the ground floor, a KUKA robot arm, installed by CNC Robotics, carved these models out of polystyrene blocks, and finally on the middle floor, artists were making moulds of those carvings and creating new impressions in traditional plaster. The role that Singular MARS undertook was essential to “keep the machine running” for as long as possible. 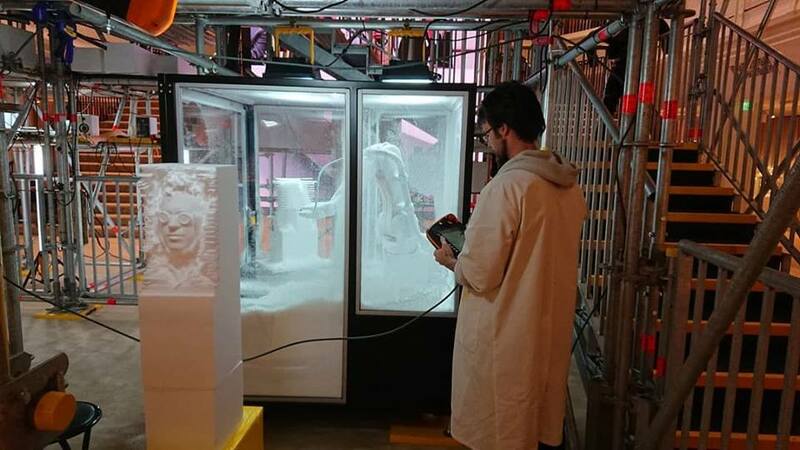 We were in charge of the KUKA robot arm cell that was creating human sculptures out of polystyrene and that were being displayed all over the installation. 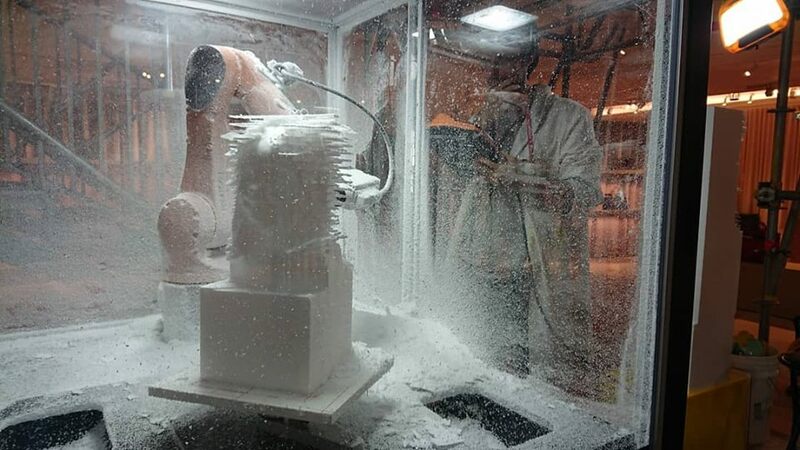 This involved the challenging task of programming toolpaths for each and every unique sculpture, communicating it to the robot controller software and supervising its correct operation. We were tasked with manual loading of stock and unloading of finished parts and general upkeeping of the cell, as well as interacting with the public who were awed by the marvellous machine, answering queries and informing about the use of robots in industrial scenarios. For us it’s a privilege to use the profits generated from contracts such as these to give back and support environmental, aerospace or social projects. Last year, which was also our first year as a company, we invested and donated 39% of our profits into Electric Vehicles startups, plastic recycling initiatives and Universal Basic Income advocacy, among other projects. We are truly committed to doing whatever we can to make the world a better place. For more details on Singular MARS, potenital industrial automation projects or investment opportunities, please get in touch with us at sales@singularmars.com.